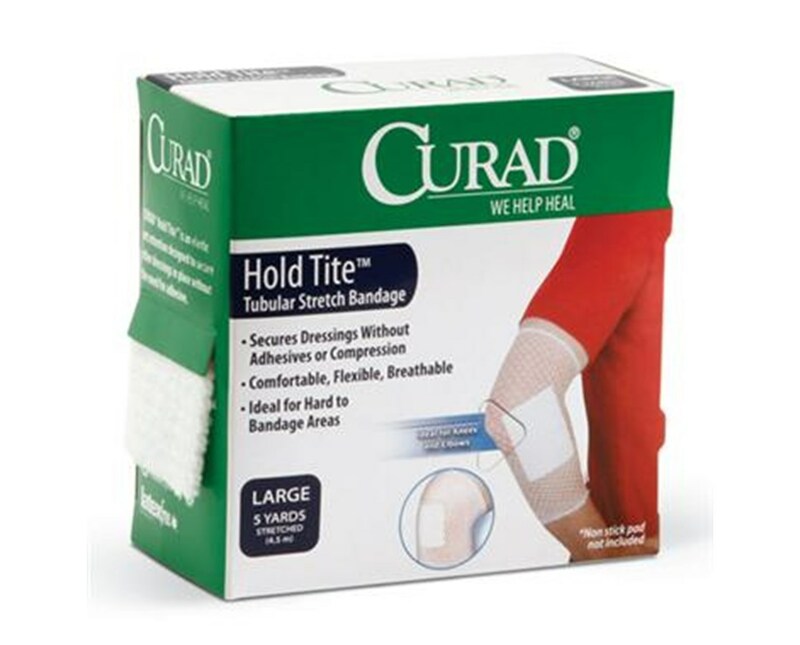 Curad's Hold Tite Tubular Stretch Bandage, a tape alternative, is ideal for elbows, knees, ankles and heels where tape application or removal can be difficult. 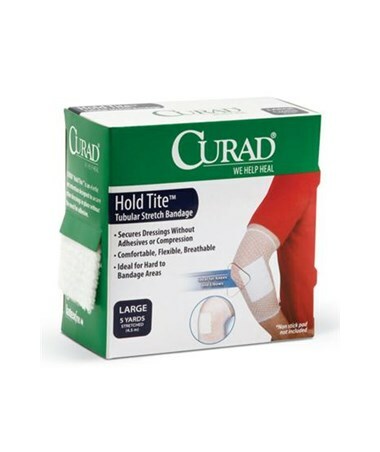 It can be cut to fit any body part and will hold both dry and wet dressings in place. The soft, open weave is low linting, does not constrict and allows for maximum airflow. This knitted, elastic net tube is made of polyester and spandex, and it measures 5 yards in length.